In reality, not all quilting rulers are good solution. Why you should buy exactly our quilting ruler? We choose for you the highest quality material. It is right, that it is the most expensive option, but it is guarantee, that you will be happy with your rulers also after long time of using it. 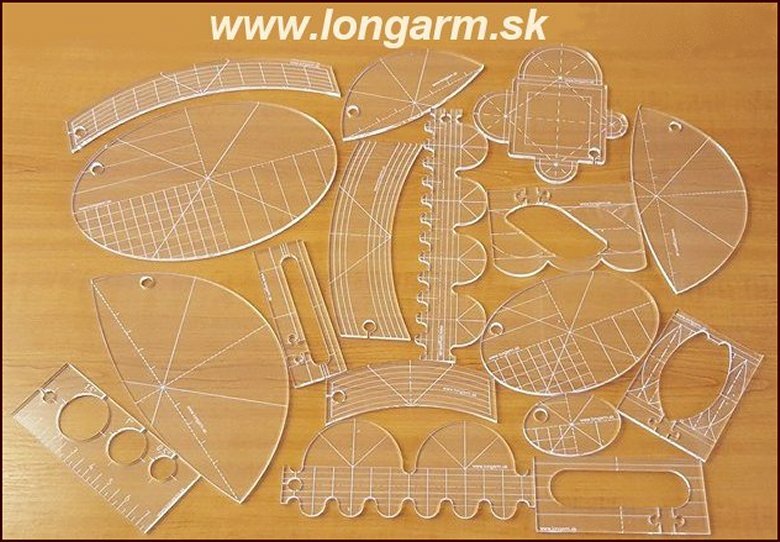 We have made quilting templates so thick that they do not threat your sewing machine by unwanted climbing under the sewing foot and then destroying your needle and foot bar. 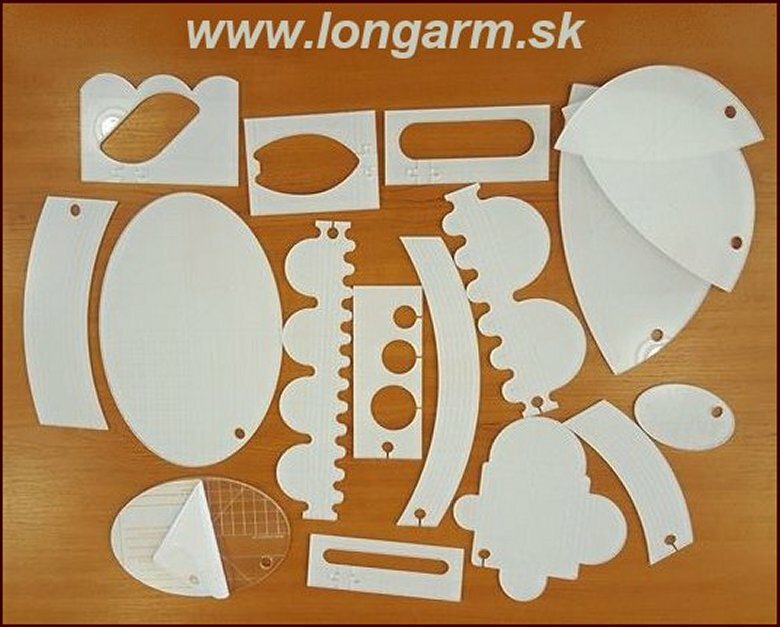 Our quilting rulers have a thickness of 6mm a thickness of 6mm and believe, that it is for the long life of your sewing machine REALLY IMPORTANT! We thought about your comfort. Each of our quilting rules has a hole for hanging hook on the wall. 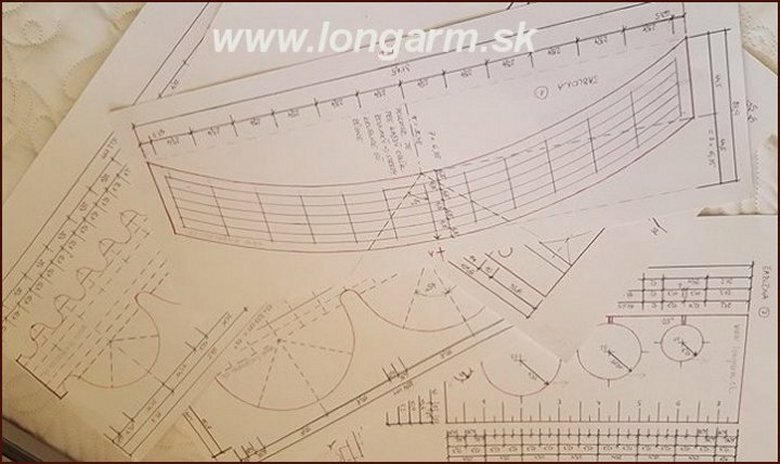 Most of our rulers have a so-called quilting frame conductor for contour quilting and applications. Put a sewing foot on it and guide it along the outline of the pattern, image, or patchwork. Use the hole also to hang the quilting ruler on the hook on your ruler stand or wall. The contour quilt guide also has a thread penetration groove so you can continue to quilt without guide without interrupting the thread. The marks on our quilting rulers are engraved and, moreover, they are colored highlighted. Quilting will be easier for you! When light comes on, the markings on our quilting rulers will light up - they will reflect the falling light beam! Fig. 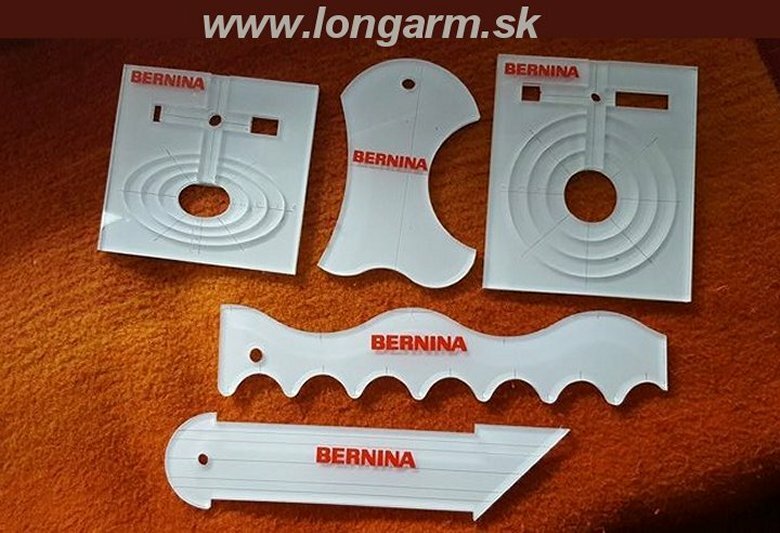 Set of 5 quilting BERNINA rulers for table quilting. You can use individual circles and ellipses separately. After removing the white protective film, the rulers are ready for quilting. And can you choose to remove the foil only partially and use white belts as quilting guides...? Fig. : White foil is used to protect rulers. It is easy and fast to remove it for the first time. You can be sure that your quilting rulers will remain clean and unspoiled after transport.